Improving Classroom Learning with ICT examines the ways in which ICT can be used in the classroom to enhance teaching and learning in different settings and across different subjects. consider what kinds of professional development are most effective in supporting teachers to use technologies creatively and productively. Case studies are used to illustrate key issues and to elaborate a range of theoretical ideas that can be used in the classroom. 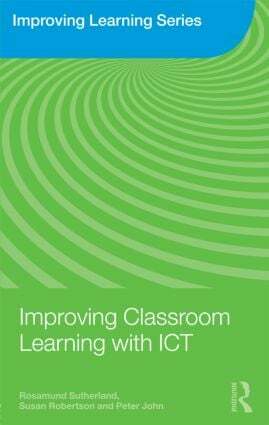 This book will be of interest to all those concerned with maximising the benefits of ICT in the classroom. Part 1 What are the issues? Part 2 What does the research tell us? Part 3 What are the overall implications?